Every August, students across the country prepare to head back to the classroom. 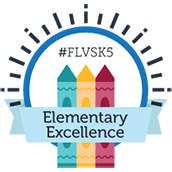 Thankfully, our students have it easy…because the first day of school at FLVS definitely beats the first day of traditional school! 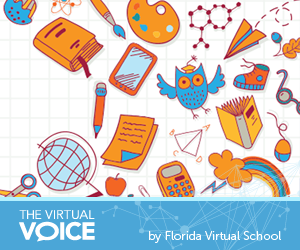 Now that we have officially entered the month of August, we are featuring a top ten list that online students and parents are sure to love. Let us know what you would add to this list! You don’t have to worry about what you will be wearing on the first day of school. Pajamas are just fine. You can wake up three minutes before your first live lesson and still be on time. No one will judge you if you haven’t brushed your hair or teeth. You never have to wait in line for lunch, the bathroom, or teacher attention. You can bring your pets to school with you. Choose a pace chart that works for you. Class takes place anywhere there is WIFI. Take school with you! If you feel like you’ll miss the movement between classes, move your laptop from room to room in your house every 50 minutes…or go out and grab lunch while you work on your assignments. You will always have the best seat in the class. 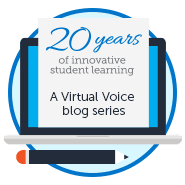 This entry was posted in Student Edition and tagged Back to School, Benefits of Online Learning, Enrollment, Fall, Flexibility, Online Education, Student Experience, Tips for Students, Top 10 on August 4, 2014 by Dr. Jeanne Giardino.